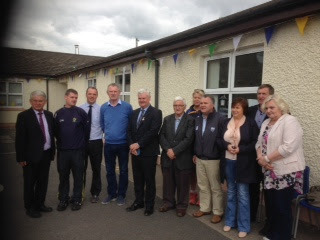 GAA President, Aodán Ó Fearghaíl visited Scoil Gharbháin today to help launch this year's Féile na nGael which will be jointly hosted by Waterford and Tipperary from June 17th to 19th. 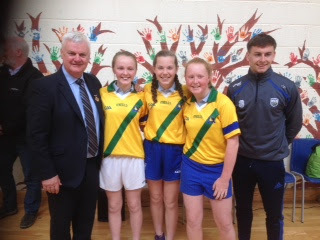 Abbeyside / Ballinacourty will be hosting Abbeyleix from Co. Laois while the Camogie club will host Na Brídeoga from Mayo. 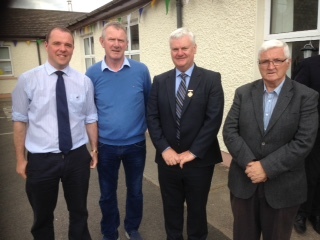 Below are photos of today's event with the GAA President.